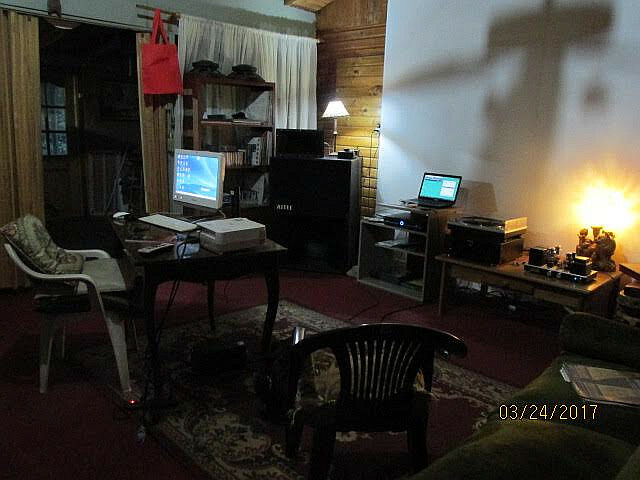 my speaker system is 91dB/w/m so just not enough for not all kind of music good when I am using 2A3 single ended amplifier. using 45 and 2A3.and must be use power band is width. In general ,am using EH300B normal.long time using china's product Goldend Dragon 300B and Golden Dragon 4300. 3.5K ohms. 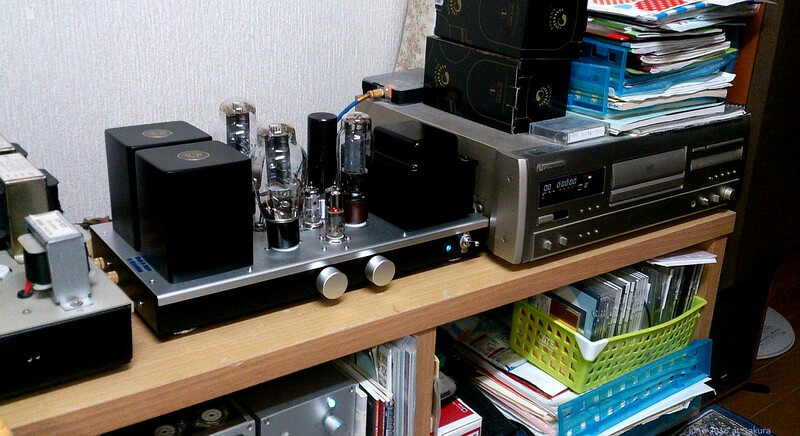 just boring sound.so using 2A3 SET ....listen music with 2A3 single ended amplifier which is using XE-20S Tango. then sound is more powerful to getting and good bass.I like cheap EH 300B ,almost 8 years using.EH 300B is good now. 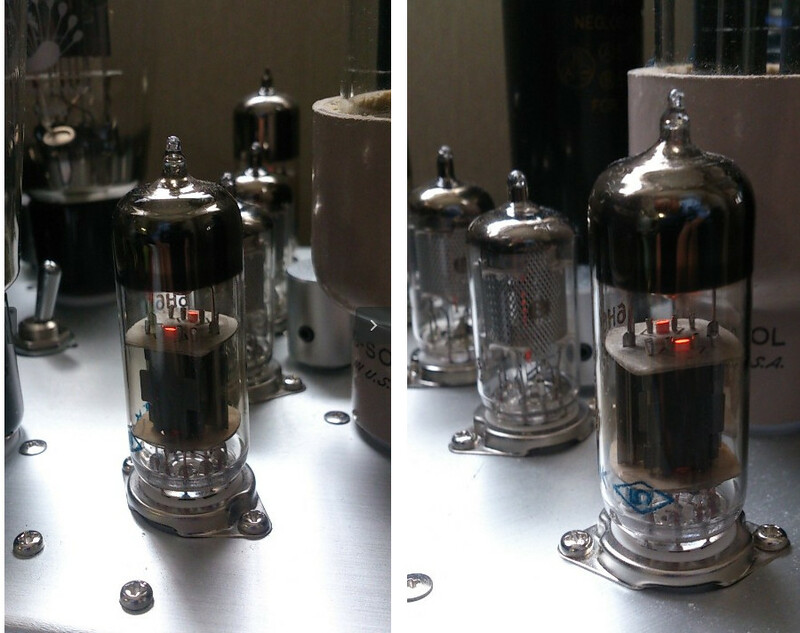 Characteristics of the vacuum tube has changed　in almost 9 years.this valves are much better than orginal. Western WE 300B is WE300B. but EH 300B(long time used) is good for me.la cream de la cream.good for Jazz and fusion etc even Classic. 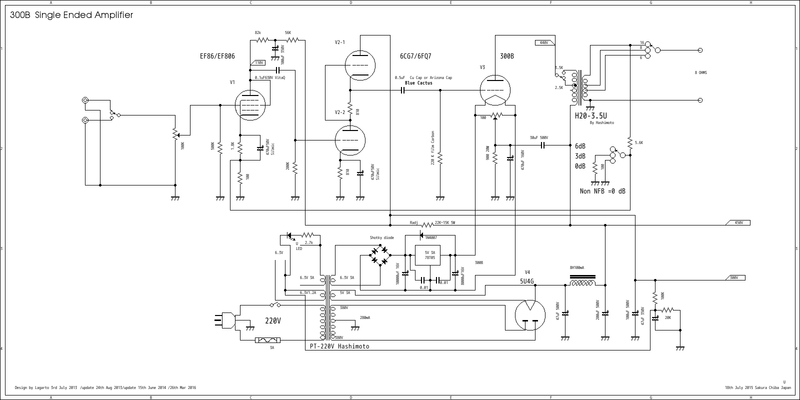 If would like to see some circuit diagram Schematic diagram for 300B Single Ended Amplifier. Note :When use 5AR4 for V4 power is around 8W rms max and 5U4G is 7 W rms max. V2 is 6CG7/6FQ7 for normal use. if would like to use 274B and CV378 must be use value of C1 is 22uF 500V, 274B is 16uF 500V dont use 47uF 500V. 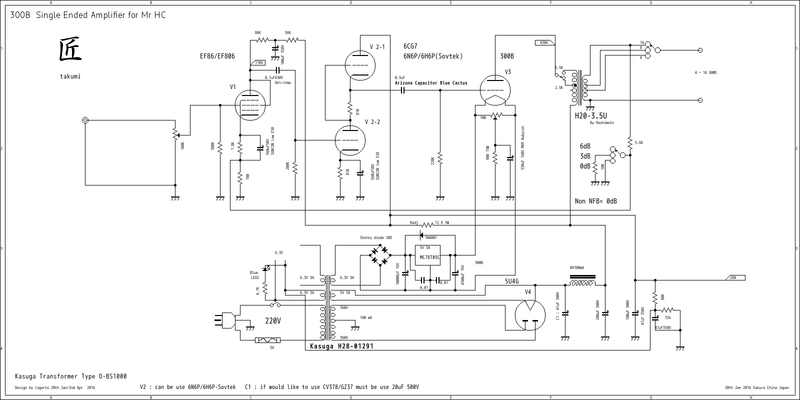 frquency responce are 10Hz - 80 Khz Non NFB at 0.5W and 6dB NFB can get 10 Hz to 130 Khz response at 0.5 W.
Very much wide range I am thinking good for High Reso replay's Main Amplifier. 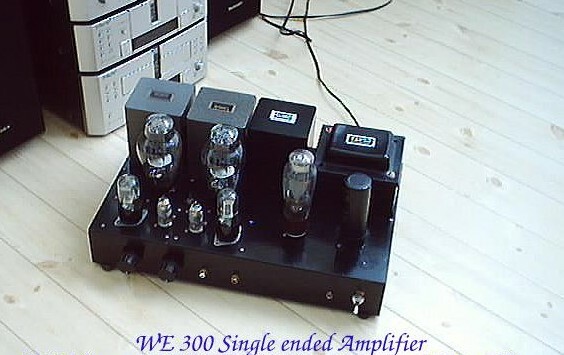 this amplifier is need at least 5 years for EAGING.will be good 300B Single Ended Amplifier. 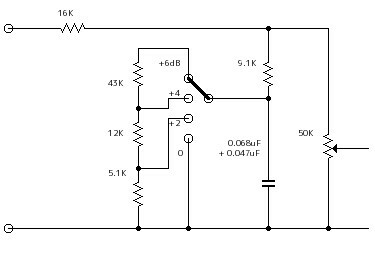 This circuit is using very much common and long time using as James Transformer single ended amplifier.circuit is very stable.and sound stage is fine. this time will use same as above H20-3.5U Hashimoto.power band is much better than original. schematic diagram was wrote for 220V AC Use for South America even use for Europa.coupling capacitor is type of Arizona Oil Paper Cap. 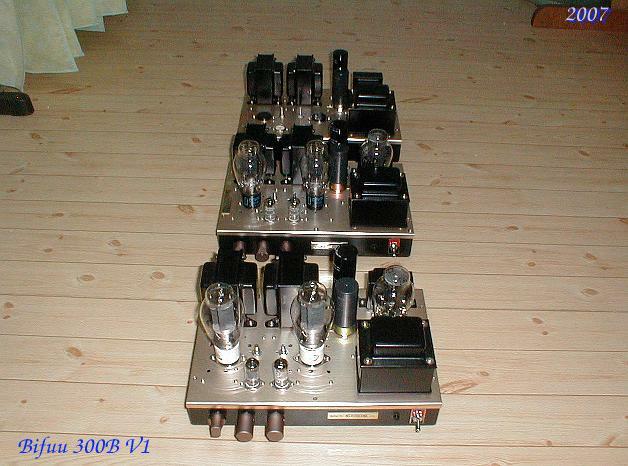 valve will be use PSVANE 300B.some one said PSVANE how to read .came from PAVANE .wrong letter of PS and PA in China. 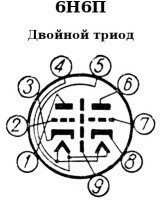 4,8,16 ohm position for speaker impedance.so change by one of Switch at backside.offcouse change NFB Level 3 position,0dB(Non NFB)and 3dB ,4dB. many case of 300B single ended amplifier use as 3.5K ohm load but sometime thought, 2.5K load much better frequency response and much more bass to get. plays.plate voltages is about 430V means -70 is bias. 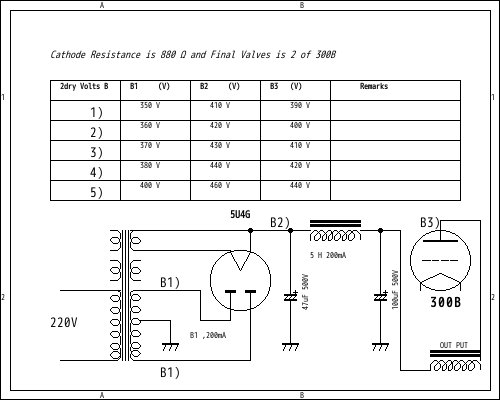 = Plate Voltages is around 360V.25 W of dissipation,if get good luck may be ,will be get 7 W rms. 300B can get more than 7 W until 10W (18 W rms can be get)but valves are expensive even Chinese much better use 7 W rms for long time use. 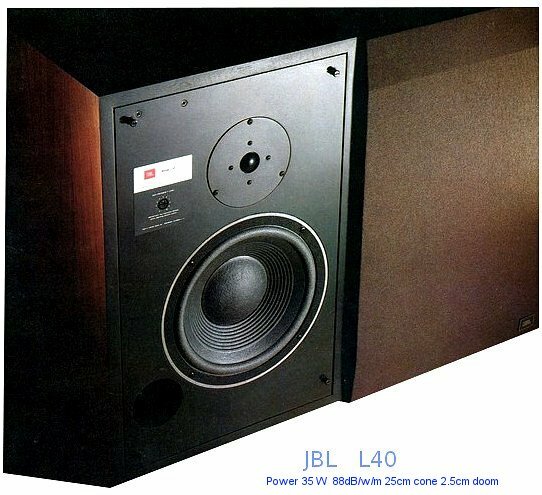 If one's have over 96dB Speaker System like JBL A19.A7 etc it's enough to use 7 W rms power of 300B Single Ended Amplifier. 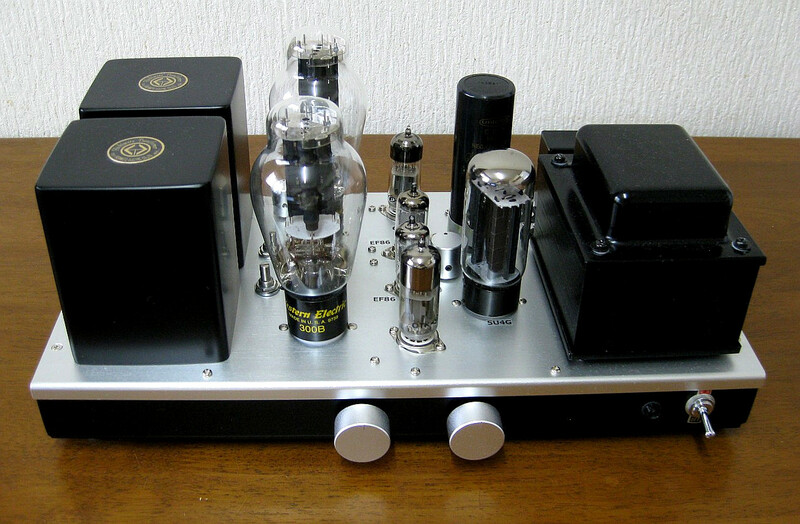 This Amplifier has one of SW for 2.5K and 3.5K plate impedance . 2 impedance is very different sound will be get.how to use this Sw .Jazz for 2.5K amd Classic for 3.K. 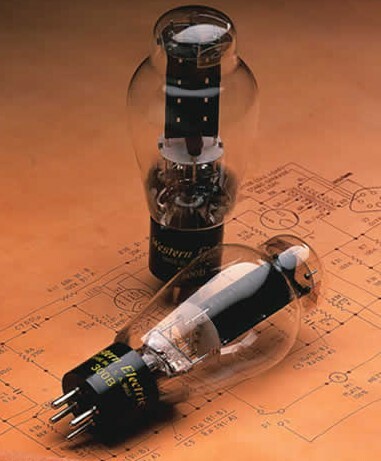 out put impedance is 4,8,16 ohms depend on what kind of speaker using.can be select impedance which you 'd like to use. of Switch top panel.6dB of NFB position will be get from 10Hz to 100Khz within +-1dB very flat at 1 W but sound like Solid State Amplifier feel like very dry. Non NFB of Powe Band is around 10 Hz to 70 Khz. 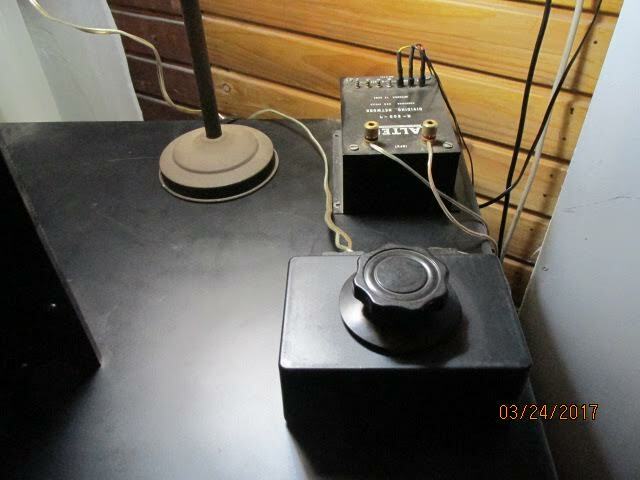 but very clear sound.DF is around 2 at Non NFB and -6dB NFB's DF is around less than 3. 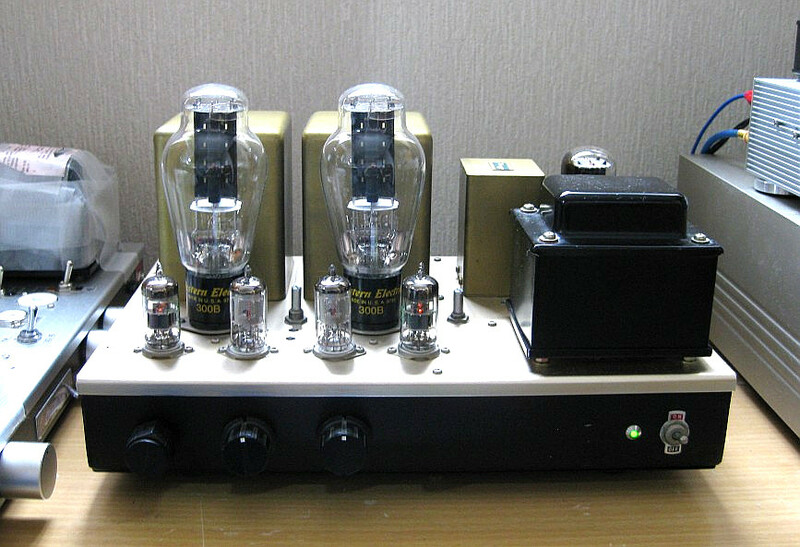 I am using EH 300B + James Trans ,just 10 years nothing problem with 6 W rms.probably much bass getting with 10 years old EH300B than new one. 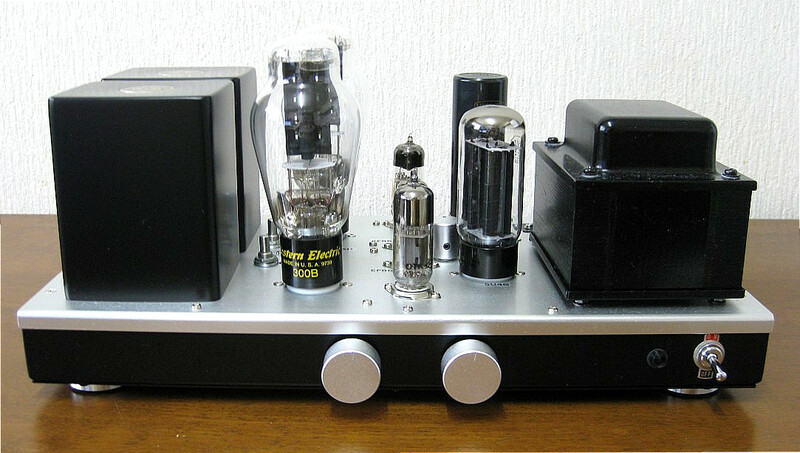 so any Amplifier must be use more than 10 years.no replace final valves.how about sound of Hashimoto HC20-3.5U 300B Single-Ended Amplifier Sound Stage ? why 7 W rms max. 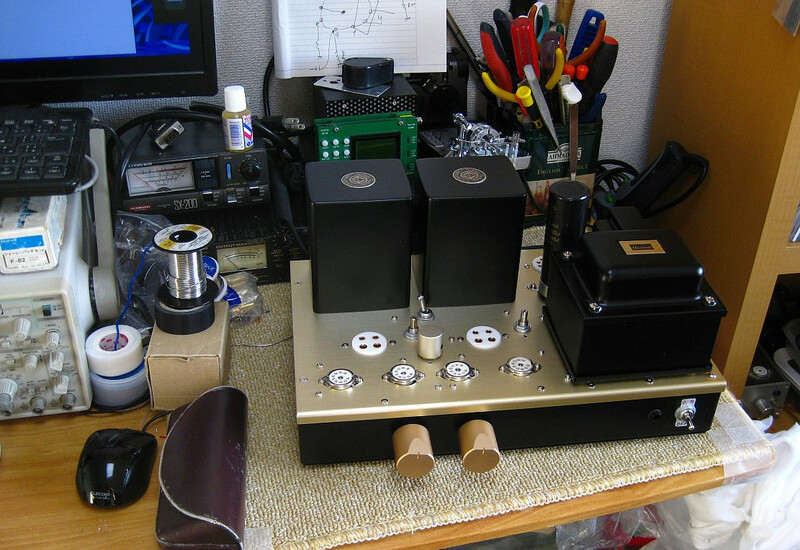 from 300B Amplifier. because old man never get a lot of pocket money. long life time of use 300B low power or 2A3 SET.2A3 SET is around 4 W rms. 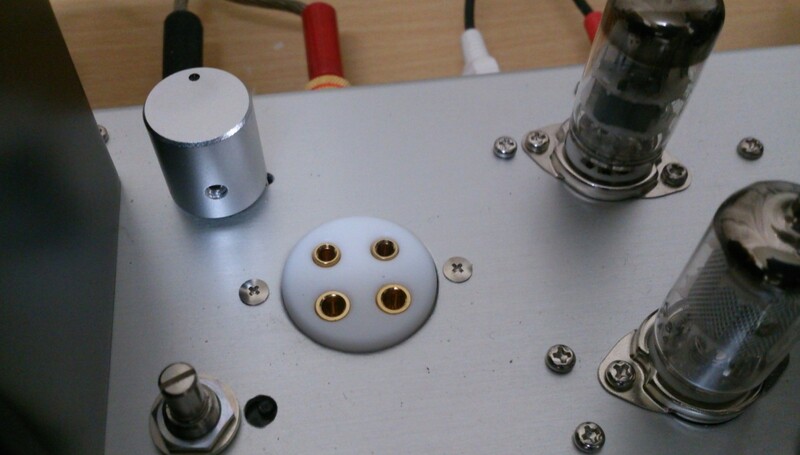 I can not show you inside of amplifier because very small space inside of amplifier and using big component using. so very crowed.just like sardina can. 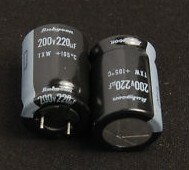 Cathode capacitor are Nichicon 470uF 160V at 300B. 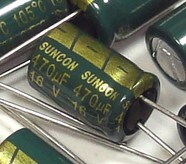 other small bypass capacitor are 470uF 16V SUNCON(Sanyo/Panasonic 108 deg)and Coupling Capacitor are Arizona Cap. all resistance are using Takman Metal film (REY).only two place at grid resistance of 300B are Carbon film (REX).Power resistance are KOWA Kiwame and Dale. and driver stages's cathode capacitior using suncon capacitor ,sun con is used be named of sanyo capacitor.some of made in indonesia and Japan. Sanyo Capacitor are very famous as OS-CON show photo ,very low impedance at wide range .now available from Panasonic. 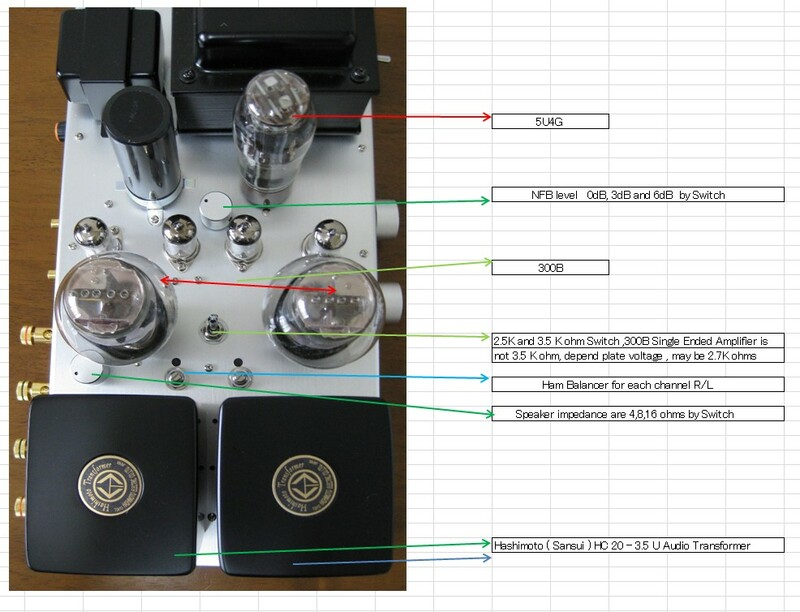 but be careful to use where place of high temperature.because change character.never use into valve amplifier. I like sound stage of 2A3 and 45 .if one's have over 95dB/w/m Speaker system.getting good sound and wide, clear.and valve cost is not expensive.so prefer 2A3 SET. EL AMPLIFICADOR 300B MODELO TAKUMI. 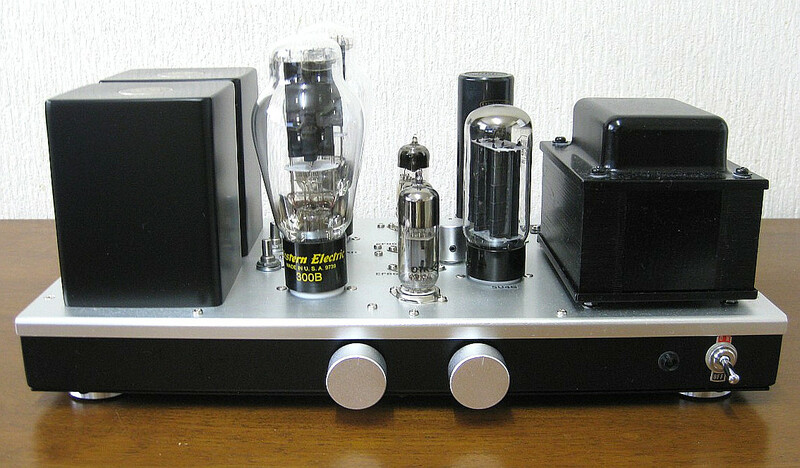 El amplificador 300B, modelo Takumi”, diseñado y fabricado por el Maestro Kenji Mizushima en Japón, es una notable obra de arte de la alta fidelidad. De un diseño clásico y elegante, su fabricación desde la etapa de estudio del circuito hasta su envío a Chile necesitó 5 meses de trabajo en el estudio del Maestro Mizushima. 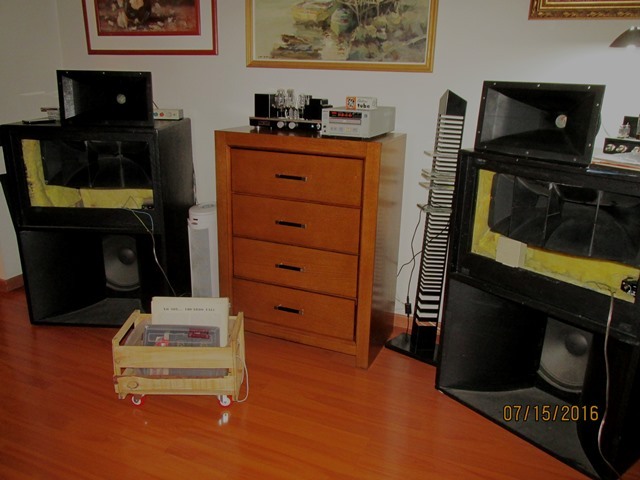 puesto a punto durante más de un mes, ajustando los parámetros a los dos tubos 300B Psvane HI-FI con los cuales llegó el amplificador a Chile. Como era de esperar, el sonido brindado por este amplificador 300B es de la más alta fidelidad, al escucharlo lo primero que viene a la mente son dos conceptos: claridad, y espacio. Su sonido es de claridad incisiva y muy espacial, el escenario sonoro se abre delante de uno, brindando una muy agradable sensación acústica que he escuchado en pocos amplificadores. con este amplificador no hay problema alguno en diferenciar el sonido de los violines, de la viola y del cello en la hermosa grabación del Grumiaux Trio de los quintetos de Mozart con nada menos que el mismo Arthur Grumiaux en el rol de primer violín (Philips CD 450 950-2). donde la enorme presencia de la orquesta tiene el grado justo de dulzura que no distorsiona el sonido natural de la orquesta pero le da un innegable carácter de elegancia que caracteriza a los amplificadores del High End. ponen delante de uno el alma de este notable intérprete de la música latina, cuya voz se puede sentir con toda su naturalidad y fuerza interpretativa casi como si uno estuviera en el concierto en vivo. 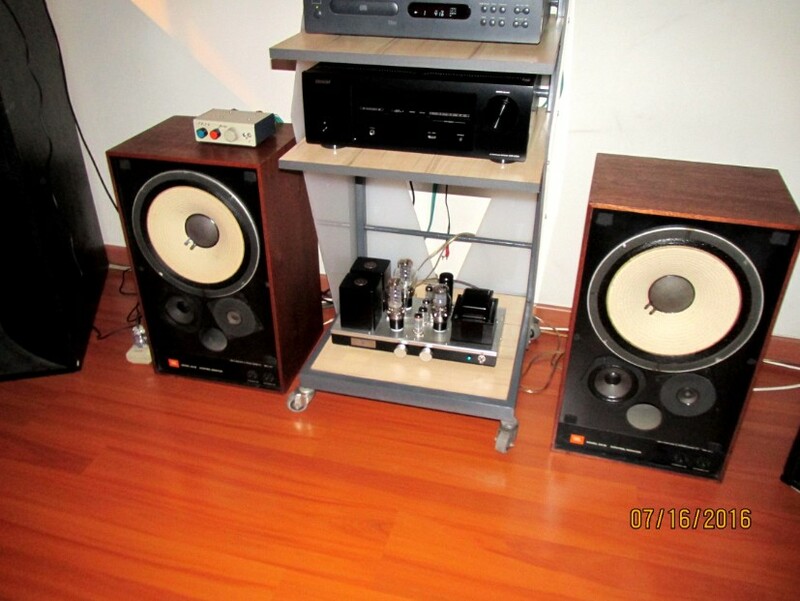 Parece increíble que algo supere a la experiencia audiófila de escuchar esos magníficos CDs, pero sí lo hay, y es nada menos que escuchar buenos vinilos con una tornamesa y aguja por supuesto de una alta calidad equivalente a la del Takumi 300B del Maestro Kenji Mizushima. la superlativa coordinación rítmica de los vientos y la percusión, con el bajo siempre presente pero nunca ahogando con indebida presencia a sus compañeros del grupo. pero impregnada con el toque justo y mínimo de dulzura, lo justo para que no alcance a distorsionar indebidamente el sonido sino que otorgándole el grado preciso de elegancia que caracteriza al High End. 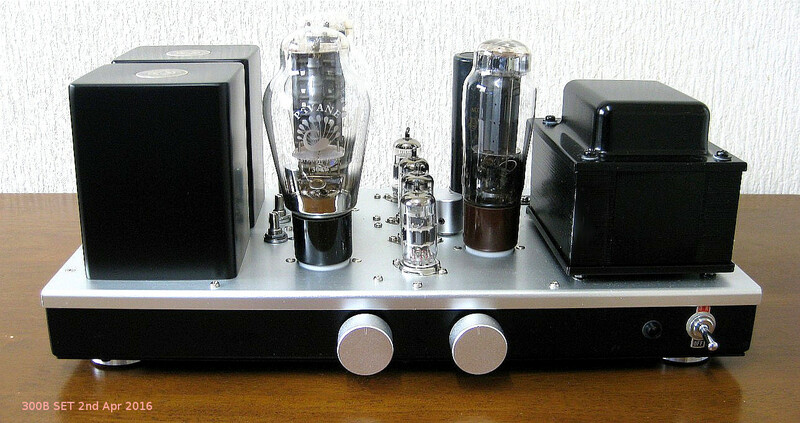 Amplificador: Modelo Takumni, basado en el tubo 300B. 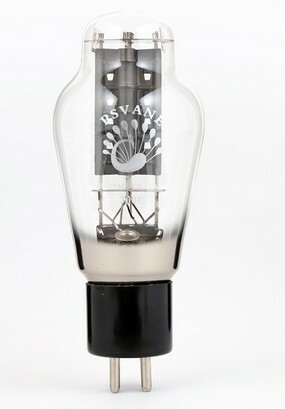 Tubos principals: Psavane 300B HI-FI, RCA 5U4GB, Tesla EF86 (NOS), 6CG7. I have been enjoying it for several hours and the sound is much better now than when I first listened it. 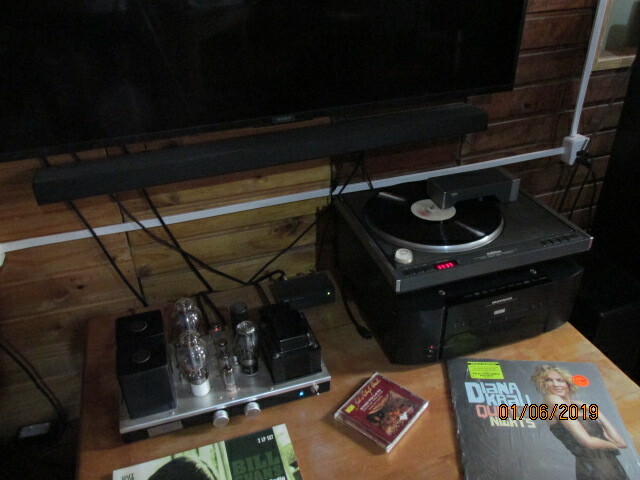 And with vinyl records the sound is outstanding !! Please find a short piece of review I wrote for you so perhaps you can upload it to your webpage. 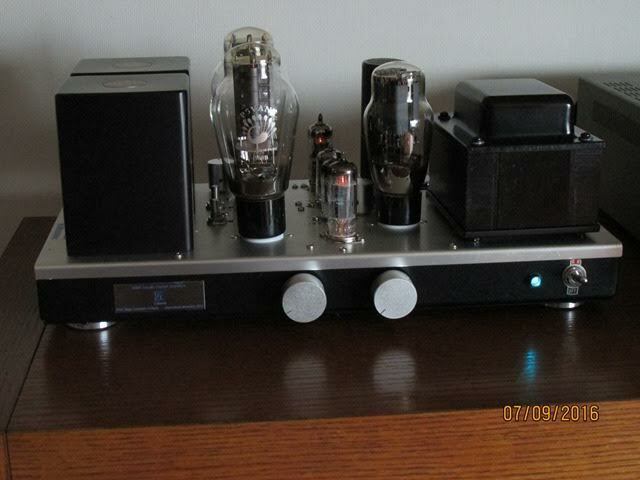 I am very happy with this magnificient amplifier. 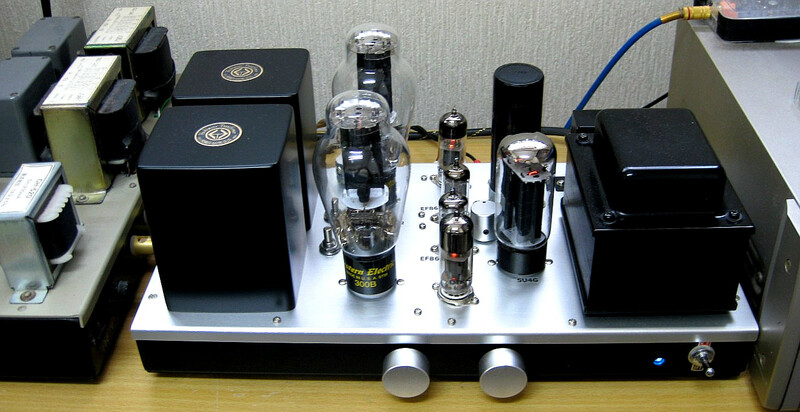 The Takumi 300B amplifier designed and craft made by Kenji Mizushima is an outstanding piece of sonic art. viola and cello in difficult to properly record pieces like the Mozart string quintets (Philips CD 450 950-2). as to the human voice and chamber and jazz assembles. 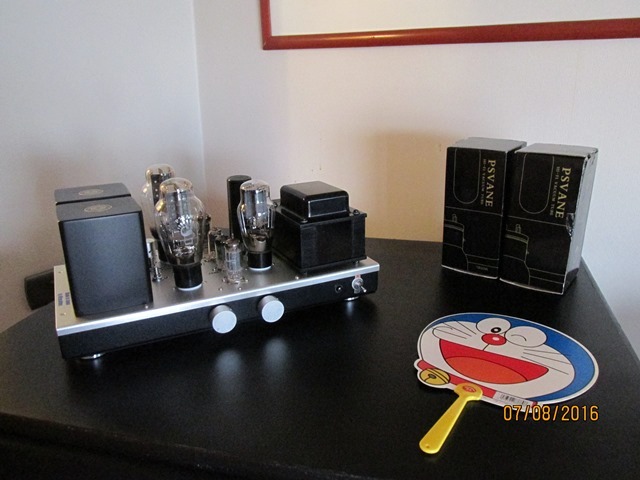 controlled vibrato and his almost perfect tuning and breathing at the service of his music are outstandingly conveyed by the Takumi amplifier. 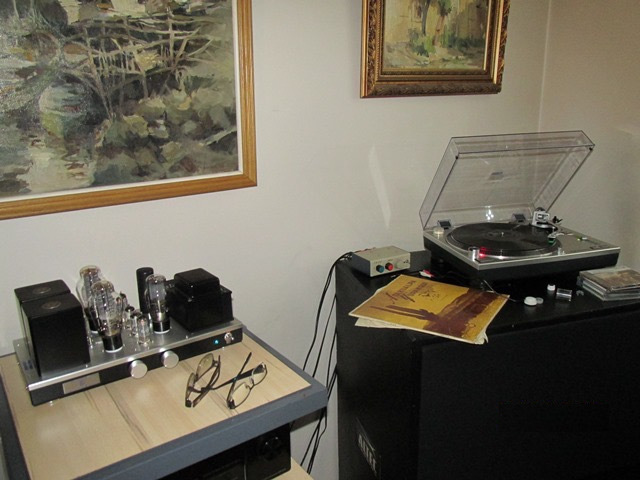 records reproduced in a high quality system. 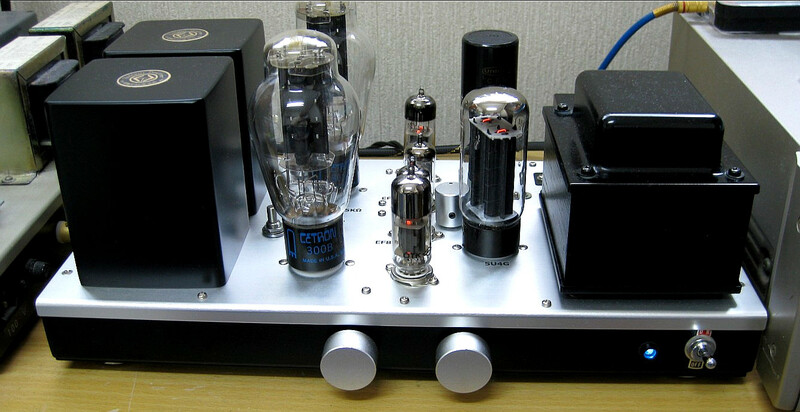 The 300B tubes are known for their long break-in periods, so that all the good sound of this beautiful amplifier can only improve as time passes. Thank you for asking about the Takumi. 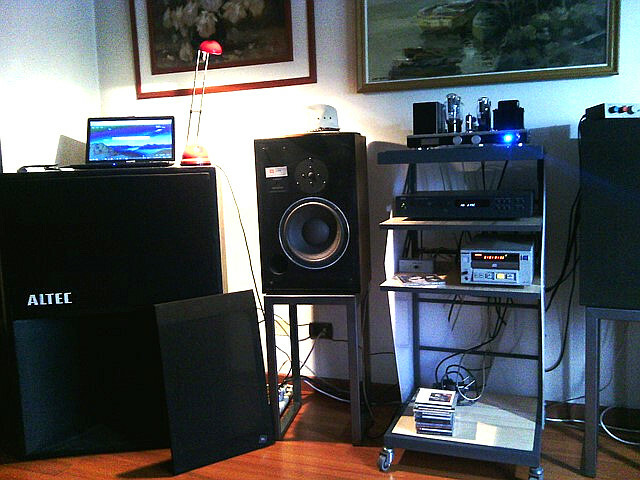 conected the Takumi to this JBL monitor, and to a Nad C542 player. signal. It is an elegant and good conector box. very good with smaller speakers like the JBL 4311B. not need expensive CD players to enjoy the good sound of Takumi. Mr C V was truly impressed with the sound of Takumi, and me too. Jazz was so real it was almost like a real concert. For jazz I use 2.5 kohm as you suggest in your page and the sound is more intimate... very very nice. 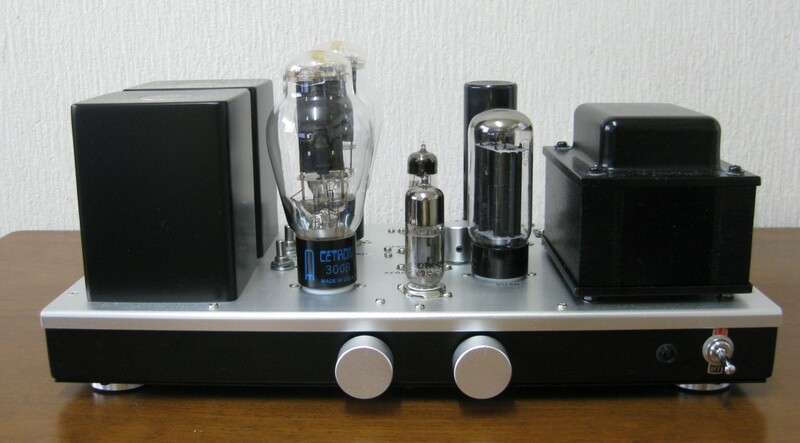 I am enjoying very much the 300B sound of Takumi and no need of changing the Psvane tubes, they sound nice. 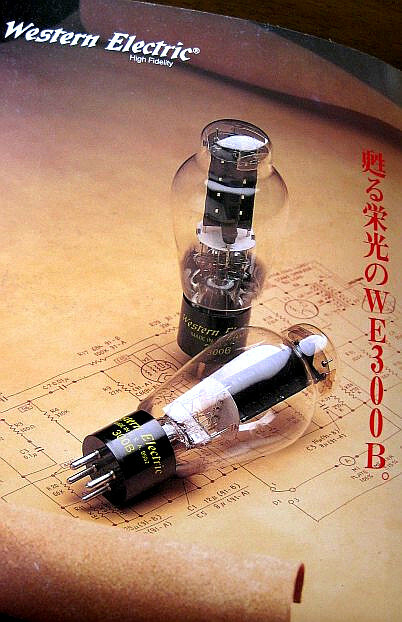 Hi Fi 300B tubes you sent me with the Takumi amplifier. 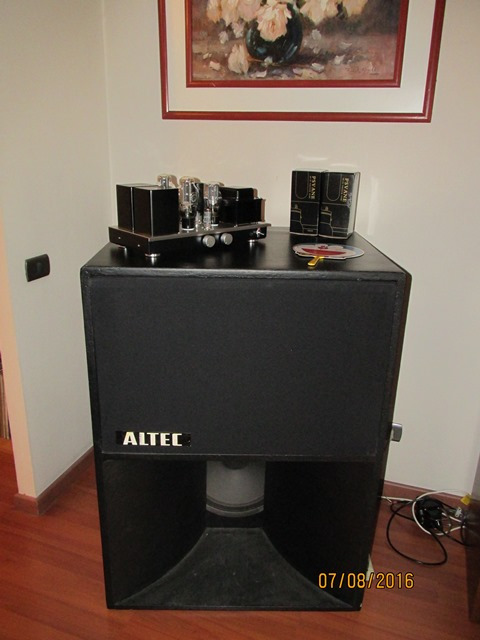 better than without equalization and they produce a nice sound. and the K-310A speakers is very very Hi End. highest quality, like the Takumi amplifier I am so lucky to have here. 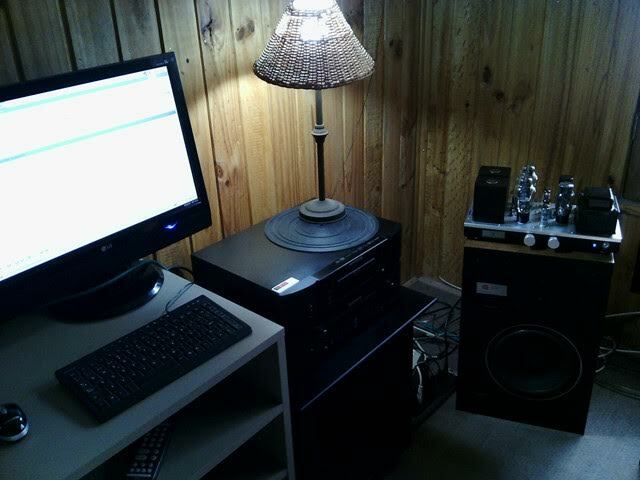 He said , "sound has improved greatly . 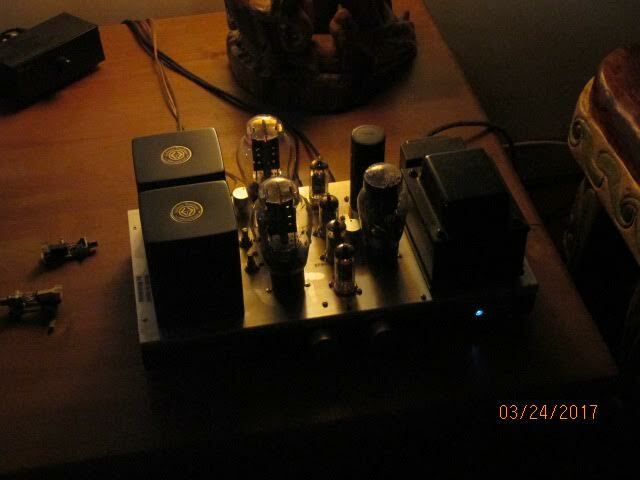 mid range and controlled bass, very very good for jazz listening." Hi, I totally agree that the limiting step in the whole audio quality are always the speakers, because it is the stage that generates more distortion. 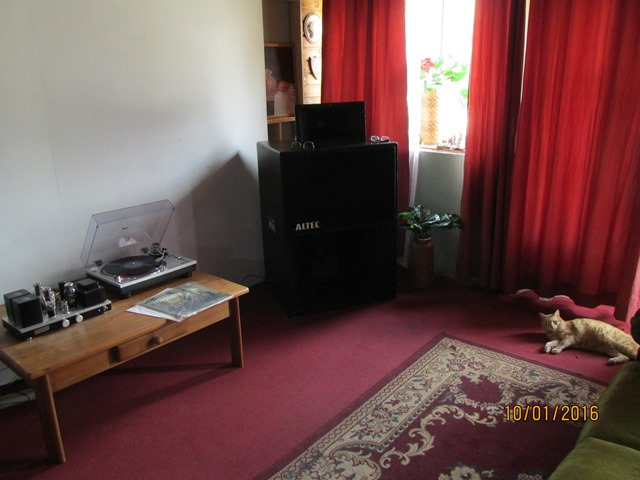 And in this prices soar, new or vintage speakers. And the difference between a Hi End speakers with the average price is staggering ... are different worlds. 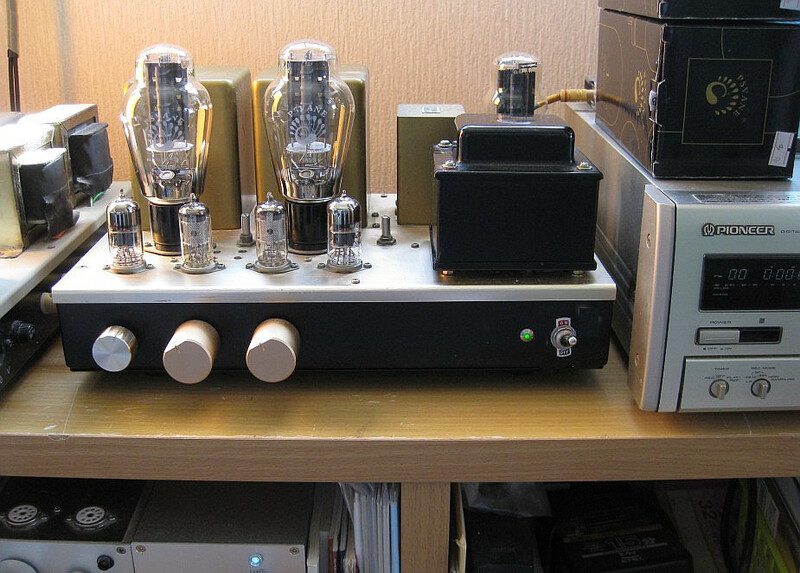 On the other hand, there is a good supply of high-quality amplifiers for all price ranges, and one has to find what is best to fit your budget and heard, in that order. But just as we are talking about a few thousand dollars up Americans because high-quality components are expensive. 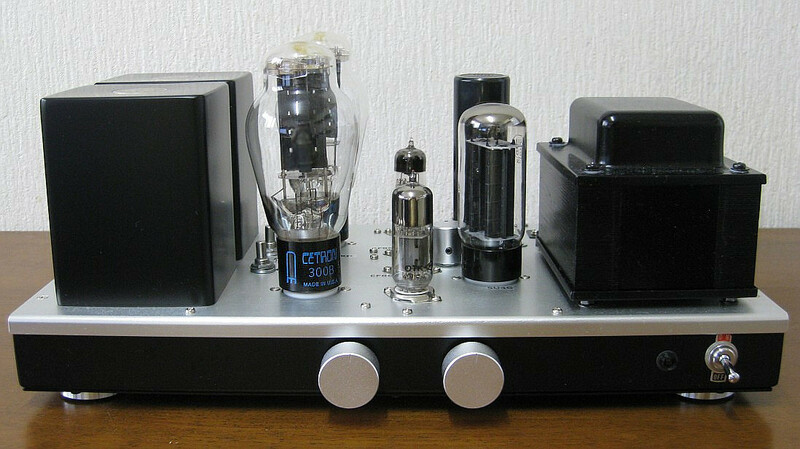 A pair of audio transformers Hashimoto in Japan has a value of US $ 700 ... and there are some considerably more expensive: Tamura, Tango. Not to mention yet of the cost of quality tubes. 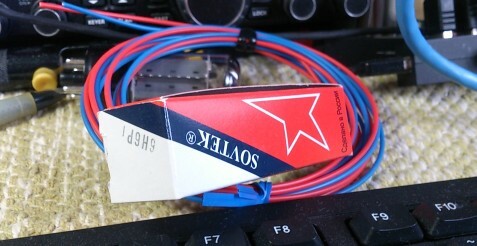 Then the cost of the components of a good amp puts a floor that can not be lowered. And if this skilled labor in labor cost per hr work is short, it is easy to explain something handmade in Japan have a high price. When technical work in Japan is as expensive as time graduates and engineers. And in New York the most expensive hr work is Mason, who earn more per hour neurosurgeons. or not produce pleasure when listening to music with them are enjoyed equally fed up. So it is not essential to have expensive equipment to enjoy music, so there's room for all budgets in the audiophile world. 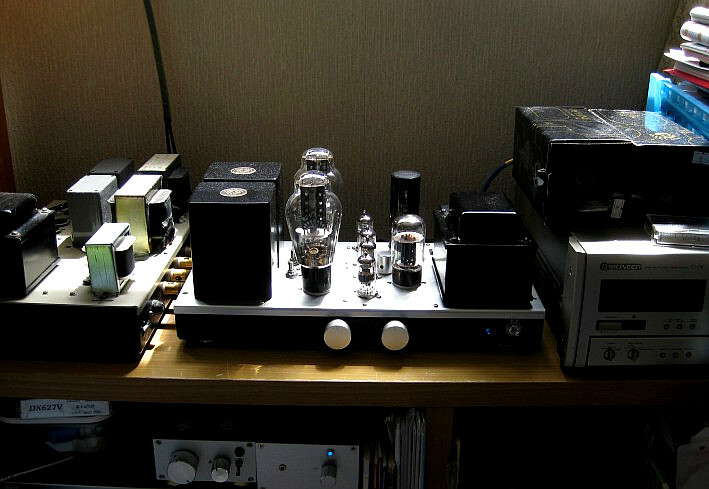 If you can pay US $ 3000 for an amplifier it is very good. But it is no disgrace to have cheaper equipment, is something to be happy with what you have. Above photos sent by Google strage,each other using google . exchange sound source Giga byte of sound. sound archives by Google each other are best. 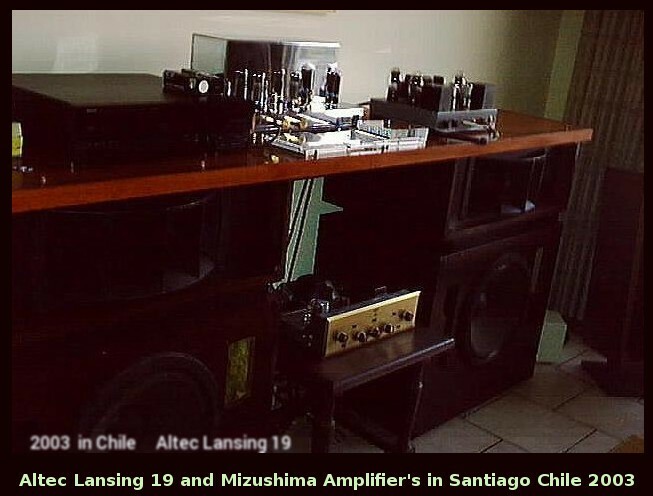 A:The amplifier is a Mizushima 300B, a well-known team in the forum, really the best in valves, which together with the Klipsch RP160 monitors made a perfect match, as two great friends delivered a warm, pleasant sound, which completely filled the room of listening, that although it is great for some monitors, they managed to flood it completely. It was pure delight of hearing, the magic of audio in full, accompanied by these two experienced foreros that I imagine, and will complement with their respective appreciations. B:Many thanks to forero Geno for his kind invitation to a memorable audition, and to forero @luiscarrasco, both for their extraordinarily pleasant audiophile company. It's a great pleasure to share high-fidelity audio with friends in an environment of the most extreme audiophile ... all enlivened by delicious canapés and juices. not only of the equipment but above all they know a lot of music, recordings and top artists of world music. It was very educational for me to learn from his appreciations of world-class artists as we listened to them. The test CD prepared by Geno is very professional, it has musical pieces of top artists that illustrate the whole range of tones, frequencies and timbres that one can find in high fidelity music, it was an additional degree of pleasure in this memorable session. 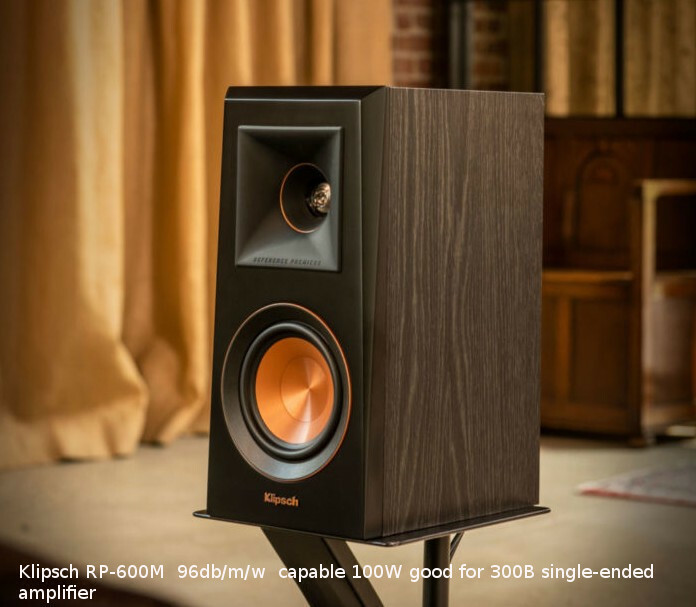 Being able to know the speaker Klipsch of shelving model RP-600M to evaluate it before a possible purchase was a privilege, and I really thank Geno for this opportunity to audition him for about 4 hours: infinitely better than going to listen to him at a store. 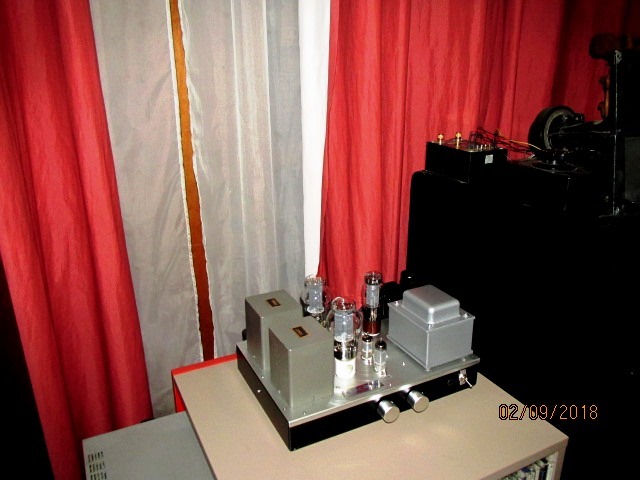 The Geno audio room has the ideal acoustics for this couple, and the match single 300B with the RP-600M was perfect. When closing his eyes the sound of the RP-600M had nothing of "shelf", it was a big speaker sound. 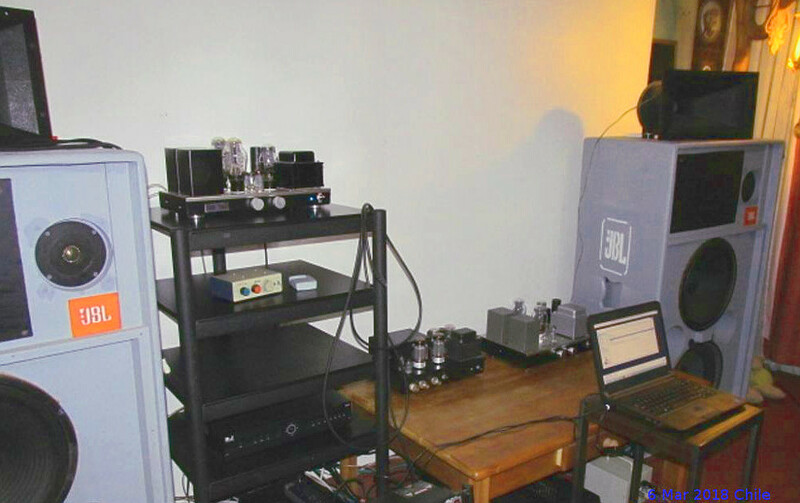 The RMS 7 watts of the 300B were much more than enough to fill the fairly large audio room with high quality sound. The realism and fidelity to the sound "live" was impressive, it was like being in front of the instrumentalists. One of the notable things is that the entire audio chain was "normal", no equipment of monstrously high prices, although all of high quality. And the sound of each instrument and voice was completely natural, without any coloration or timbre: no warm or sweet sound or anything. Each sound with its natural tone almost the same as being next to the singer or instrument. This fidelity to the real sound is what we know as "high fidelity", because it is about reproducing the most true sound live, without any coloration. One of the remarkable things was the clear but not overwhelming presence of every detail of the sound of the recordings: the scraping of the fingers on the strings of the guitar, the breathing of the singers, the pedal of the piano, the permanence in the time of each note of the contrabass ... all the infinite components of the universe of sound of a live concert in a concert hall with adequate acoustics, those concert halls where the only amplification is provided by the natural acoustics of the room. 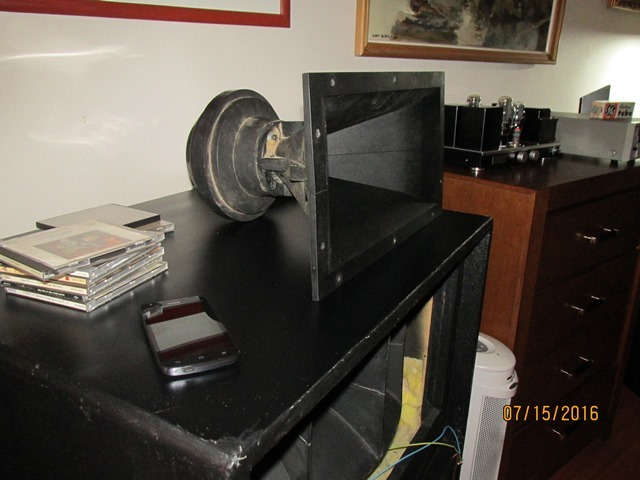 Notable is the RP-600M speaker and its accompanying 300B single ended. Both with a good high fidelity CD player are the perfect match for what is probably the best possible hi-fi sound with this technology. If one wants natural sound, without exaggerated or strident high notes, without the touches of warmth or the artificial sweetness that many other good speakers produce, this is the ideal pair. Of course, nobody likes the definitive word, and there are many good bookshelf speakers that produce sounds with different musical timbres. I have pretty good bookshelf speakers with medium prices, but the high sensitivity and low distortion of Klipsch sound technology brings them closer to the ideal speaker for high fidelity that does not need high power amplifiers to reach high fidelity. .
A cordial greeting and again many thanks to Geno and Luis for sharing such a nice audio session. Sound getting by Raspberry Pi B+ from small box show. inside has I2S DAC and Raspberry Pi B+ and 1 Tera HDD.